Since discovering podcasts a few years ago, I’ve become an addict. The best business podcasts can teach you so much about all areas of business and I listen to them while driving, walking, running, grocery shopping, folding washing, and cooking (if I’m alone). They’re a great way to ingest information while you’re physically doing something else (and one of the few ways you can effectively multi-task). This is unfortunately not an ongoing series but has 15 short but amazing podcast episodes where Seth shares the best of his wisdom. I’ve listened to it at least twice and intend to listen again soon. If you’re looking for one of the best business podcasts available, this is it. Pat Flynn is a great interviewer and presenter of his knowledge and although this podcast is aimed at people looking to generate passive income online, almost all of the learnings apply to most types of businesses. His other podcast – AskPat is also a wealth of knowledge with specific answers to lots of questions about online businesses. Chris Ducker is a wealth of knowledge with a focus on delegation and outsourcing. He also has fantastic guests and a fun, light-hearted interviewing style. Amy Porterfield has a very practical approach and walks you through many technical aspects of online marketing. She also speaks about the mindset required for entrepreneurship and interviews specialists in different areas of business. A good mix of interviews and deep dives into specific topic areas – all from a women’s perspective. Interesting format, mainly about developing and marketing online software (SAS) but the ideas apply to all kinds of businesses. They often delve into the mindset challenges of starting a business too (which can get a bit woowoo but it’s enlightening all the same). A deep dive into what it’s really like to start a business. Highlights from TED talks assembled into a cohesive presentation around a certain topic. Often I see the topics and think they won’t be of interest but I’m always pleasantly surprised. I’ve listened to every episode of this podcast and love Tim’s way of uncovering what makes high performers the way they are – sometimes big-wig entrepreneurs and other times sports people, scientists, authors, etc, but always insightful and entertaining. Again, more great interviews in an unconventional style. Sometimes business related, and other times not. Lewis Howes has a great story and is another fantastic interviewer. He has a way of asking different types of questions that bring out new insights into his guests. Although this is blatantly aimed at blokes, the topics and guests are often very interesting and can help everyone with personal growth. These short podcasts are great at diving into various area of our lives – often psychology and/or technology related – and provide a very entertaining and insightful discussion. A new podcast by Kelly Exeter and Brooke McAlary where they discuss ways to do less and be more. Another new podcast by Kelly Exeter, this one with Carly Jacobs (Smaggle). These two road-test and discuss various lifehacks and self improvement ideas. So far, I’m loving it. Here, Jonathan Fields shares inspirational conversations with business people, writers, philanthropists and others – often taking a holistic approach and discussing the why behind their motivation and creativity. There are others I go to occasionally or for special purposes (eg learning French! ), but these ones are my go-to’s. Help! How do I Listen to Podcasts? If you’ve never listened to a Podcast before, it’s essentially a radio show that you can get on the internet, so you can listen any time you want. You can either listen to a podcast through a website (this is called streaming). Or, (more conveniently) you can download a podcast, which means you’re saving it on your phone, (or computer), and you can listen to it anytime. For iPhones and iPads, use the Podcasts app (it’s usually already on your phone but if not, get it from the App Store). In the Podcasts app you search (the magnifying glass icon) and then enter the podcast you’re looking for. You can either download an individual episode, or subscribe so that new episodes are automatically downloaded. For Android phones and tablets, try the Stitcher app – you can get that from Google Play. In Stitcher, search for the podcast you’re looking for and click the plus sign (+), to add it to your Favorites List. Now go to the Favorites List. Tell it to download new episodes by clicking the gear in the upper right corner. 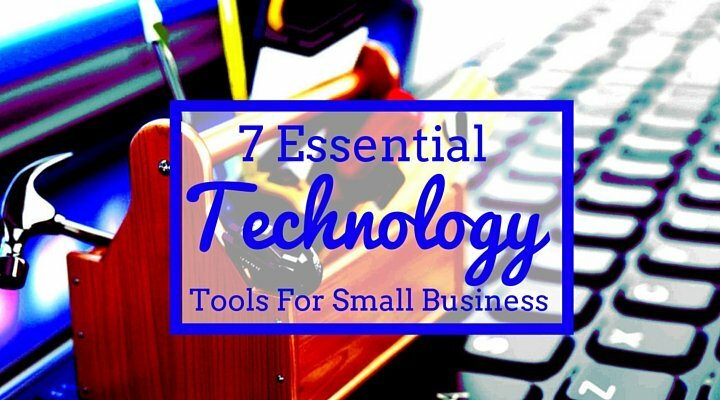 7 Essential Technology Tools for Small Business This Week’s Handpicked Recommendations from the Interwebs Why haven’t you started your business yet? Which of the Following Business Processes Do You Need to Document? Hi Fiona, I found your site while looking for advice to create my “ideal client” avatar. I found your write-up very helpful. I’m host of a business podcast that’s on C-Suite Radio, so I thought you might be interested in checking it out. It’s called On the Schmooze. Every other week I feature an interview with talented professionals from different fields who share untold stories of leadership and networking. I explore how they built strong networks and overcame challenges on their way to becoming successful leaders. I identify key take-aways from each interview, something you can put into action that week that you’ll benefit from for years to come. Show notes include resources to help you get started. Solo shows are shorter episodes every other week, where I share practical networking tips and techniques. Insights from me and my guests will help you achieve the leadership position you’re seeking, build and sustain your professional network, and find the work/life balance that works best for you.